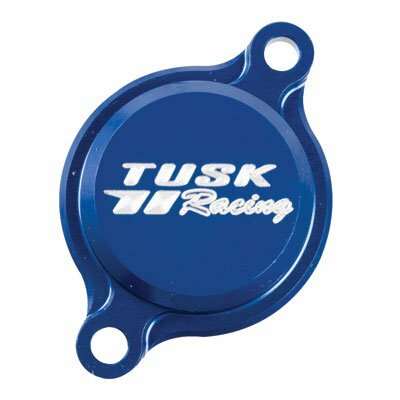 The Tusk Aluminum Oil Filter Covers are precision CNC machined from lightweight 6061-T6 aluminum for a perfect fit to replace your stock oil filter cover. The filter covers are anodized for corrosion resistance and to give your bike that factory look. Tusk OE replacement oil filter covers to give your bike a factory look. Anodized colors for corrosion resistance and aesthetic appeal.